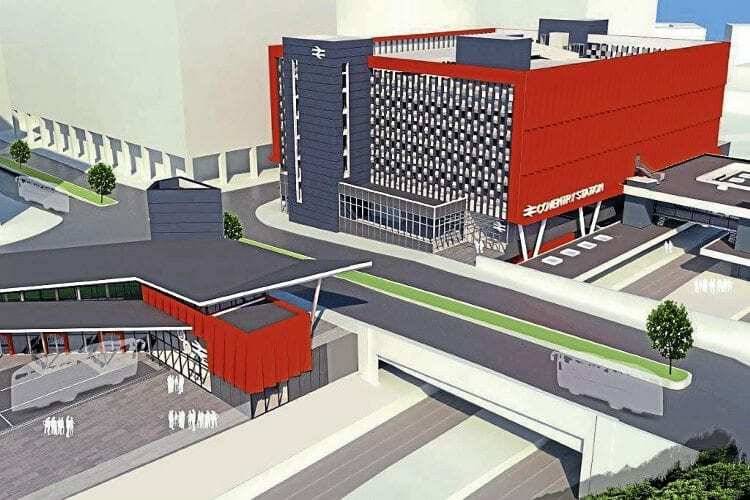 COVENTRY City Council has released images of the proposed new look for the city’s station – which is reported to be the fastest growing outside London. The £82million scheme will include the creation of a second footbridge to connect all four platforms and extend the platforms, a second entrance onto Warwick Road with step-free access to all platforms, and a multi-storey car-park for 644 vehicles. An overview of the Coventry station masterplan. An extra platform will allow a half-hourly service to be introduced between Nuneaton and Coventry. A new bus interchange will also be built, connected to the station building via a new access tunnel under Warwick Road. The project has received funding from the Government’s Local Growth Fund, through the Coventry and Warwickshire Local Enterprise Partnership (CWLEP), and the Department for Transport. Funding has also been requested from the West Midlands Combined Authority Devolution Deal.